Ortho Stone - Lab Depot ltd. ORTHODONTIC STONE is a hard, accurate dental stone of super-white color for optimal esthetics. Its ample working time allows the pouring of multiple models with one mix. 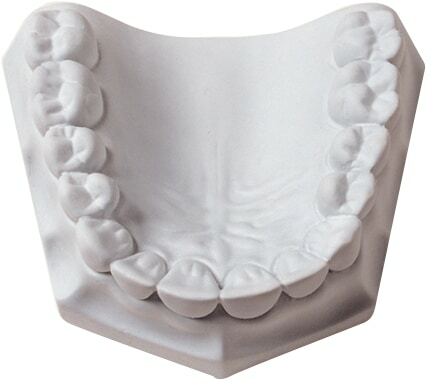 The same smooth mixing and easy flowing properties of all Whip Mix Model Stones are retained in this product, made especially with the orthodontist in mind. To produce a glossy surface, finished models may be treated with MODEL GLOW model soap.